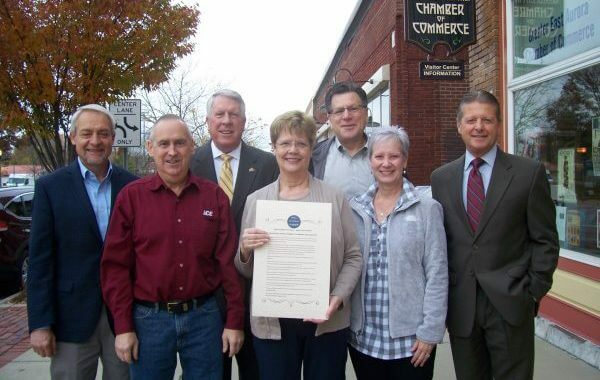 CHAMBER ISSUES PROCLAMATION SUPPORTING SHOP LOCAL ON SMALL BUSINESS SATURDAY! 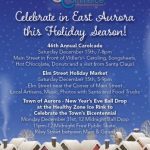 The Greater East Aurora Chamber of Commerce with support from local and state elected officials encourages area residents and visitors from across WNY to “Shop Local” at Greater East Aurora (Aurora, Colden, East Aurora, Elma, Holland, Marilla and Wales) businesses Small Business Saturday, November 25th! Local businesses depend heavily on holiday season spending which helps sustain them through slower periods of the year. The Chamber and our elected officials encourage your support of our local businesses which add to our communities’ quality of life. Enjoy the day experiencing great shopping, dining and reconnecting with friends! To read the full proclamation, visit the Chamber’s website at www.eanycc.com . SMALL BUSINESS SATURDAY – SHOW YOUR SUPPORT! GREATER EAST AURORA CHAMBER OF COMMERCE PROCLAMATION! And urge the residents of our communities to support small businesses and merchants on Small Business Saturday and throughout the year! Urban Design Expanded – After Dark will be hosting a Greater East Aurora Chamber of Commerce Business After Hours event on Thursday, October 12th from 5:30 to 7:30pm at their 261 Mill Road location in the Village of East Aurora. In addition to having a great location, food and wine we will also have as a guest, Tim Clark, Commissioner of the Buffalo Niagara Film Office (BNFO), discussing recent and upcoming film activity in the Buffalo area and relating some stories about his work with the BNFO. Members are invited to join us for the networking opportunities and fun. There is no cost but reservations are required. Please contact the Chamber office at 652-8444 or eanycc@verizon.net.